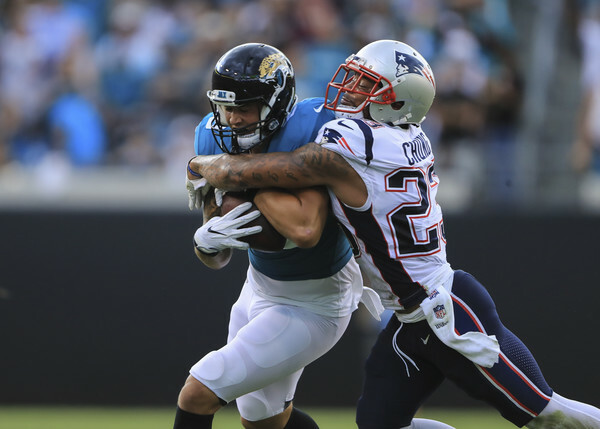 Patrick Chung was slow to get up after a blow to the helmet in the New England Patriots Week 2 game against the Jacksonville Jaguars. The veteran safety then returned to action after just one snap. And at halftime, it was announced that he was out for the remainder of the game with a concussion. Confusion and questions came up as to why Chung did not stay out of the game after the initial hit and why he wasn’t evaluated right away. After many interviews with Patriots personnel, the unaffiliated neurotrauma consultant (UNC), booth ATC spotter, game official and more, it was said that none of the above parties found that they needed to initiate the protocol after the first hit. Chung did not show signs or symptoms of a concussion at first, so they let him return to the game. It wasn’t until later in the half and into halftime that the UNC and medical staff noticed behavior that would warrant the protocol be tested. He was re-evaluated during halftime and kept out for the remainder of the game.